Storage for up to 28 screwdrivers. Red, Blue and Black. Ships within 48 hours of payment clearance. 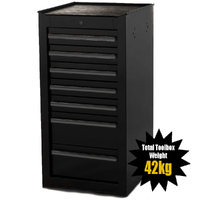 MAXIM black screwdriver box features steel construction, 28 holes of various sizes, clever design allows the storage of extra long tools, can be attached either side and to most brands of tool boxes like Snap On, Kincrome and Sidchrome toolboxes. We've taken the same "No Compromise" approach as per the rest of our range. 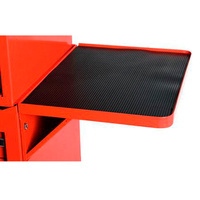 Steel construction with a powder coated high-gloss finish. 28 holes of various sizes for different sized screwdrivers. Clever design allows for extra long tools to be stored. Can be attached to most brands of toolboxes like Snap On, Kincrome and Sidchrome Tool Boxes. Can be attached to either side of a toolbox. 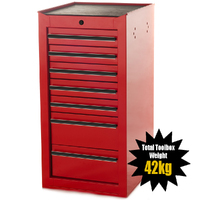 Will increase the capability of your toolbox by neatly and securely holding oversized and long tools. TTax deductable? GST credits? We provide a tax invoice with every purchase. If you're a tradesman or use a toolchest/cabinet for work purposes, you may be able to claim a tax deduction (check with your accountant). This screwdriver box is trade quality. We stand behind all our products. 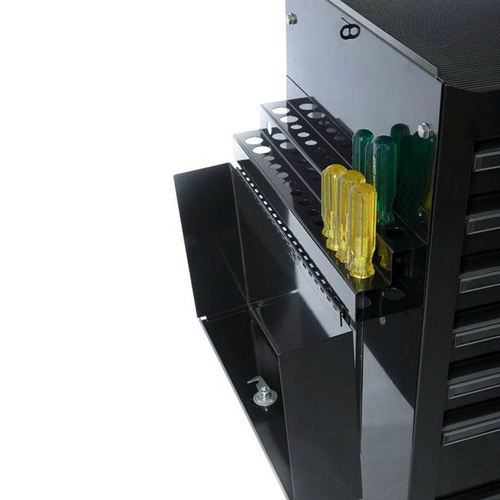 All Maxim Toolboxes carry a structural 2 YEAR WARRANTY and a 1 YEAR WARRANTY on wheels, handles and drawer slides. Warranty does not cover freight to or from our warehouse.